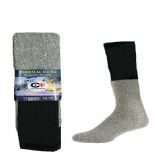 Mens thermal socks in bulk is always the best way to buy these kind of socks. 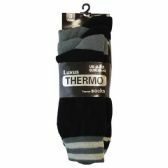 Mens thermal socks in the winter season is vital to keeping warm during the cold months. It is known if the feet are warm then so it the rest of the body. Thermal socks come in many kinds of contents. High cotton content as well as synthetic blends. Sometimes if the socks is made with regenerated cotton a factory will look to use synthetic blends to soften the quality of the sock. 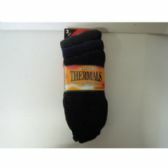 However thermal socks made with combed cotton were known to be the softness thermal socks. 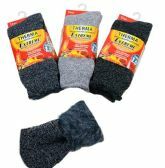 Bulk thermal socks are best found on line. 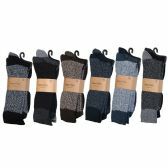 Alltimetrading offers a large selection of low priced bulk winter socks for all mens in all sizes. 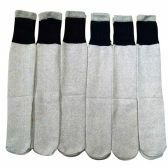 Size 10-13 and 13-16 are the most popular sizes in the mens thermal sock line. 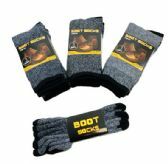 Alltimetrading offers over twenty five styles of mens thermal socks with great promotion codes and deals, sometimes even free shipping. 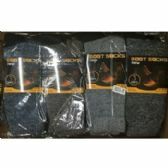 Homeless shelters will look to buy bulk discounted mens thermal socks since this is the number 1 give away item especially during the cold winter months. It is very important to find the right source to find these kind of winter socks. 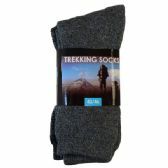 Many hunting retail outlet stores will look to find suppliers for this kind of socks, especially bulk merino wool socks that is by far the best winter socks since it has wool content. 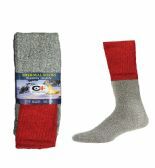 merino wool socks are great since they keep the body heat close to the body. You will want to make sure however there is cotton in the sock so that your feet will not itch. 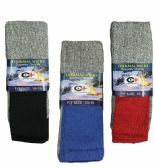 Alltimetrading offers a very large selection of winter socks in bulk pricing. Amazing deals on so many colors and textures for the bulk winter socks category. 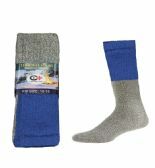 Even cable knit winter socks in bulk has been very popular and sells very well. 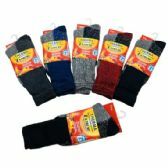 Many consumers will buy bulk winter socks, or cheap winter socks in bulk to save on costs. It is cheaper to buy in bulk rather by the pair. It is very important to look at the label of the socks to understand the contents of the socks purchased.